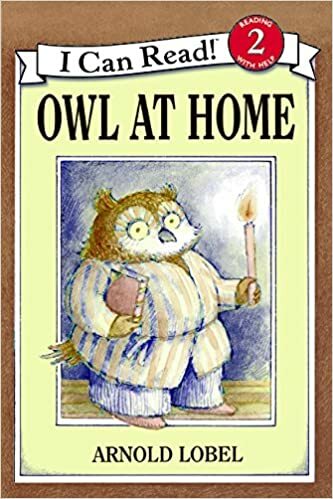 Some years ago my friend Emily gave us the book ‘Owl At Home’. It’s an early reader collection of short stories, and it’s become something of a classic in our family. In one of the stories, Owl makes himself ‘tear-water tea’ by thinking of sad things and crying until he has enough water to make tea. The tea is salty, but he feels better. The things he thinks about are a little comedic and full of pathos: songs that cannot be sung because the words have been forgotten; spoons that have fallen behind the stove and are never seen again; books that cannot be read because of the pages have been torn out; pencils that are now too short to use. They are small things that when you think about them have big loss behind them. I’ve been looking at this photo of Red Twin with baby Callum from the last time she visited us in Dar, just before her cancer diagnosis. She wore Callum for lots of his sleeps and she loved it because she said it was like one long cuddle. So now I am thinking of ‘cuddles un-cuddled’ and ‘chubby baby cheeks lengthened and unseen’. I’m thinking of how Red Twin still hasn’t been replaced in Central Asia. How will Hope and so many more like her hear the beautiful things? Of friends here who cannot make ends meet. There’s the New Zealand mosque shootings by an Australian terrorist, and the Australian Prime Minister’s refusal to consider causes or heed calls for self-examination in Australia. Cyclones in Mozambique, Zimbabwe, Malawi and Madagascar, and northern Australia. Last week I wrote an article about Disney princesses. There was no more ardent Disney princess fan than Red Twin. She was not my editor for the article. She will not read it. I sprained my ankle badly 4 weeks ago. I am still weeks off being able to do aerobics again. 50 degree days in Adelaide. The Anthropocene is upon us. My boys will live their adulthood in a vastly different world. Uninsulated by wealth and privilege, many Tanzanians already find this their reality. Massacres of Christians in Nigeria after decades of turning the other cheek. The old and young women who cheerfully greet me at the quarry next to Elliot’s school as they huddle under a branch for shade, earning a pittance breaking rocks. The Great Barrier Reef is dying. Gondwanaland is drying. My sister was evacuated from her church camp because of the Victorian bushfires at the start of this month. Almost 800 refugees on Manus Island and Nauru barred from Australia for reasons that are nothing to do with their confirmed refugee status. Women in Tanzania lose their babies at alarming rates. The statistics are bad enough. Having to give your ‘pole sana‘ when you know nothing will change is devastating. Over and over. My little thespian making do with a part in an occasional assembly play because there is no drama club or theatre group. He was markedly happier in the assembly week, but now it’s over he doesn’t complain. The ‘machinga’ guys eagerly hawking their wares at the traffic lights near our house, dripping with sweat. ‘Disappeared’ and likely tortured people in China. Disappointment from little boys upon finding out we will miss our New Year trip to Nairobi this year because we will be in Australia. Being in Tanzania while the rest of my family is together in Adelaide on 22 March.